The principle of the University Dr. Abdullah Mohammed Sulaiman visited Marangan Mechanical Engineering Workshop accompanied by the Director of Financial and Accounting Department, Director of Human Resources Department, Director of Services and Director of Environment Department. Where he was received at Marangan workshop the Dean of the Faculty of Engineering on behalf and a number of staff and workers at the workshop. The principle of the university praised with the workers for their good work and perseverance in the rehabilitation of the workshop. 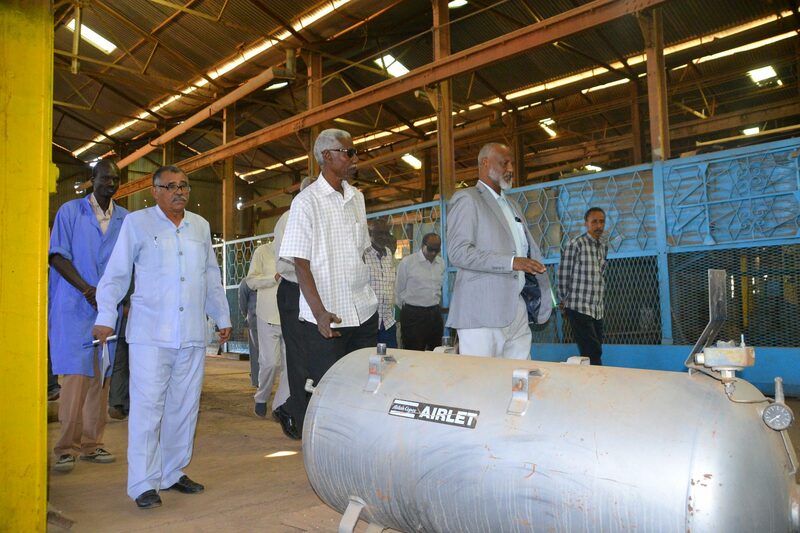 He visited the sections of carpentry , design, maintenance, diesel pumps, lathes, grinding and foundries. He visited the paper factory, stores and leather tannery, praising with the work being carried out, Stressing the importance of the section of Mechanics. 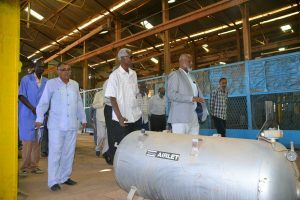 The principle of the University listened to an explanation from the director of the workshop Dr. Magdy Osman and the official of the tannery Eng. Mohamed El-Tayeb, about the possibilities available in the workshop, stressing their readiness to overcome all the obstacles facing the workshop sections and promote them as an investment projects of the University.